We took Campbell to see his very first movie today! 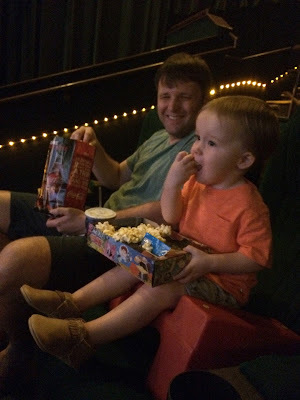 I've been wanting to take Campbell to see a movie and Finding Dory seemed like a perfect one because I think it's going to be a really good classic. Scott got off from work early today and suggested we go this afternoon. It was super last minute but I loved the idea so we loaded up and took off! Campbell was so excited to be there. He knew right when we walked in the doors that something fun was about to happen! We let him have the kids combo to indulge in while we were there so not only did he see his first movie but he also had his first soda--a sprite. When we walked in the theater he was so intrigued. We got our seats and Campbell, to my surprise, was glued to the screen. I thought he'd be too busy with the popcorn and snacks to actually watch the movie but he was totally interested for about 45 minutes. We left after about an hour. We probably could have stayed a little bit longer but Campbell started getting chatty and I was worried he was distracting everyone around us. 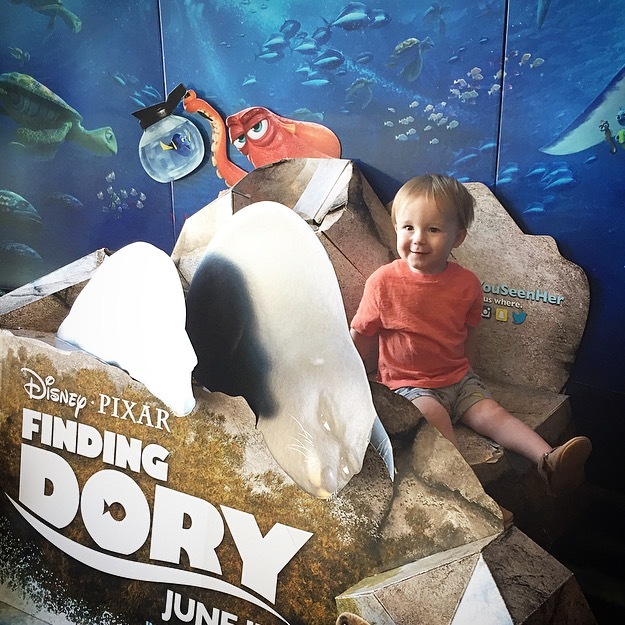 We had so much fun taking Campbell to his first movie!! Scott and I need to go back on our own so we can see the rest of it because it was SO cute. I love doing fun stuff like this with Campbell and this will always be a fun summer memory for us!